If you want to connect your Bluetooth headphone or speaker to a PC, you have to enable Bluetooth first. Here are steps on how to turn on Bluetooth in Windows 10, Windows 8.1, Windows 8, Windows 7 and a Mac. Step 1. Click the Start button and select Settings. Step 2. Click Network & Internet and then Airplane mode. Step 3. Select Bluetooth and toggle the switch to On. Step 1. Open Charms bar. Move the mouse to the lower right so that several icons begin to appear. Move the mouse upward to reveal them. Note: The set of icons is called the Charm bar. Step 2. Click Settings then Change PC settings and then PC and devices. Step 1. Click the Start button and select Devices and Printers. Step 2. Right-click your computer in the list of devices and select Bluetooth settings. Step 3. When the Bluetooth Settings window opens, check the Allow Bluetooth devices to find this computer option. 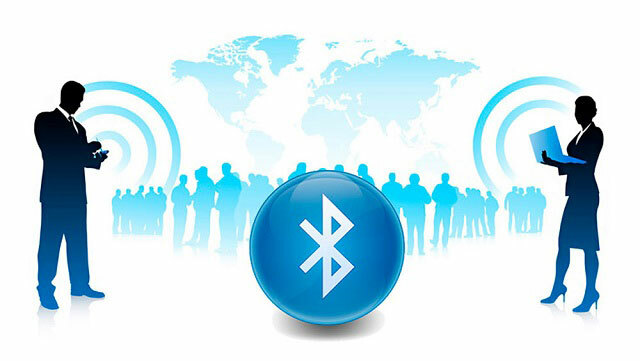 Note: To pair a Bluetooth device, click Start, select Devices and Printers and click Add a device. Step 1. Click the Bluetooth status icon in the menu bar. Step 2. Select the Turn Bluetooth On option. Note: If the Bluetooth status menu doesn’t show up, click Apple menu then System Preferences, click Bluetooth, then select Show Bluetooth in menu bar. If you know other ways to turn on Bluetooth in Windows 10, 8.1, 8, 7 and on a Mac, welcome to leave comments to share with us. Thank you. I’ve got a problem with this. My Bluetooth is turning on normally and pairs up with Bluetooth devices. However, the “send file – Bluetooth” option from my file explorer has disappeared. Any idea on how to fix that? I’m using Windows 10.